In our series of blog posts titled: “Association Greed – Board Members, Managers & Missing Money” we highlight wrongdoing by community association managers and board members. In this installment: Community Embezzlement Case Studies – Florida – we focus on community employees and managers. We will review the facts of the crime and how you can prevent it at your community. The following cases are examples of what can happen when a condo board chooses the wrong management firm or when it does not have a specialist condo bookkeeper help with the financial management which can result in one of its own officers abusing his or her responsibilities. The theft of nearly $150,000 from a condo association in south Florida in 2016 resulted in multiple charges against two former employees. 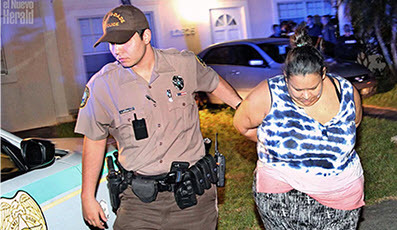 The money was taken from the Hammocks Community Association Inc., in Kendall, according to Miami Dade police, who arrested Leslie Navarro and Angie Rose Lantigua in connection with the case. Navarro was an accounts payable clerk at the association from 2008 to 2015, while Lantigua was an accounts receivable clerk from 2010 to 2015. Miami-Dade police said Navarro stole $148,050 by creating a company in late 2014 called Hammocks Community Association Properties LLC, different than the real company that manages the Kendall residential community, called Hammocks Community Association Inc.
Navarro then opened a bank account in her company’s name, according to police, and deposited maintenance payments from condo owners, which she then used on shopping sprees at department stores, supermarkets and toy stores. The investigation revealed that $54,500 was wire transferred Lantigua’s bank account, said police. Police charged Navarro with first-degree grand theft and first-degree organized scheme to defraud, while Lantigua was charged with first-degree organized scheme to defraud and second-degree grand theft. First, make sure you are receiving bank statements. Next, get monthly financial reports – you may see a dip in income and start to ask questions. The financial reports should include a copy of the bank statements as well as a bank reconciliation report that should zero out. Boards must read the financial reports and question items that look out of place. Additionally, you can use a bank that requires 2 people higher up in responsibility to approve wire transfers. Also you can work with a bank that allows board members to view their bank accounts online for greater transparency. After a lengthy investigation, the Alchua County Sheriff’s Office and Gainesville Police Department, a home owner association manager was arrested in 2016 on embezzlement charges in connection with the theft of $250,000 from 11 home owner associations in Alchua and Gainesville. The thefts occurred over a period starting in 2012. Sally Ann Wilson, who lived in High Springs and worked for Sun Lu Properties Inc., a Gainesville-based HOA management company, was arrested on multiple racketeering charges. Charges were filed against Wilson by representatives of Meadowglen Property Owners’ Association, but they were not the first organization to notice fund deficits. The original case was first brought to the attention of authorities, said Gainesville police, by John Hartwell of the University Terrace Gainesville Condominium Association. By the time the Alachua County Sheriff’s Office started looking into it, the GPD already had three open cases on the matter. An earlier report indicated that the total amount of embezzled funds was about $150,000 with four HOAs involved in Wilson’s scheme, but eventually it was determined that 11 HOAs had funds embezzled from them. Meadowglen Property Owners in Alachua, University Terrace West, Millhopper North HOA, University Terrace Gainesville Condominium Association, Saanvi HOA, Edgemoore Subdivision, Palmetto Villas Condominium, Bartram Woods, Hampton Ridge HOA, Kanapaha Meadows HOA and Moffy Oaks HOA were impacted. In a review of bank statements, the Meadowglen Property Owners’ Association noticed that its account was about $8,000 short. It canceled is contract with Sun Lu. From the dates of May 10 to Oct. 15, 2012, there were five unauthorized checks made out to Wilson totaling $1,126 from Meadowglen. Fraudulent checks totaling $7,424 were made out to Sally Wilson, Kenneth Grundmann, John Rivers and Danielle Novak, according to Gainesville police. From May 2012 to March 2013, 13 other checks were written to Grundmann, Rivers and Novak. Grundmann, a maintenance worker for Sun Lu, admitted Wilson wrote the checks, and he cashed them. Rivers also is a maintenance worker for Sun Lu. Grundmann pled guilty to another case and was ordered to pay restitution in the amount of $20,080. Rivers and Novak were never charged. Wilson pled no contest to multiple charges leading to a combined charge of racketeering after it was found that she used her affiliation with Sun Lu Properties to embezzle funds from the HOAs she managed. In January 2016, Wilson received a 10-year state prison sentence, minus 379 days for time served, and additional penalties. Other penalties include $250,000 restitution over 20-year probation to HOAs and 20 years supervised probation after serving her 10-year prison sentence. When you spot irregularities you must act on it quickly. In this case it took longer and more money was stolen and other communities were impacted. First get financial reports – the comparative income & expense report that shows actual expenses versus budgeted expenses can help you spot variances to investigate. Bank statements need to be included with the financial reports monthly and at least one board representative needs to review this monthly. A bank reconciliation report included in your monthly financial statements will also help. Lastly, you can use a company with an online bill review and approval system. After a property manager approves bills then 1 or 2 board members approve bills as well – this eliminates surprises. The theft of more than $200,000 from a Longboat Key condominium association resulted in jail time for its former manager in 2015. The fraud by Judy Paul, manager of the Sand Cay Homeowners Association, was discovered when a 2009 audit revealed that she issued and cashed or deposited association funds into her own accounts. It was discovered that she purchased a Harley-Davidson motorcycle with association money. Sand Cay Condominiums Beach Resort, 4725 Gulf of Mexico Drive, is made up of 60 individually owned units. Owners were forced to repay the loss through assessments. In July of 2015, Paul was ordered to begin serving a three-year prison sentence after being convicted in July 2013 on felony counts of grand theft in excess of $100,000 and scheming to defraud more than $50,000. In September 2013, Paul was sentenced to three years prison followed by 10 years’ probation, and ordered to pay $200,000 in restitution to the Sand Cay Homeowners Association. She was allowed to remain out of jail pending appeal. On June 3, the Second District Court of Appeals affirmed Paul’s conviction. Paul was scheduled to surrender at a court hearing July 1, 2015, but she failed to appear and later claimed she had attempted suicide. When she didn’t show, Circuit Judge Susan Maulucci ordered a warrant for Paul’s arrest. Paul appeared and pleaded with Judge Maulucci for mercy, claiming medical conditions needed treatment, including uncontrollable bowels, post-traumatic stress disorder as a result of the case, a failing colon, alleged mistreatment at the Manatee County jail and back surgery. Paul also said she attempted to end her life two days before she was originally scheduled to surrender. 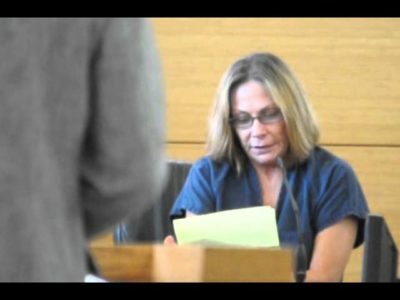 Judge Maulucci read Paul’s sentence into the record again and ordered her housed in the medical unit at the Manatee County jail until taken to prison. Maulucci added jail officials should review her medical records, which should go with her to prison. Paul’s case was the first brought to trial by the State of Florida’s Attorney’s Office’s newly formed White Collar Crime Division in 2013. 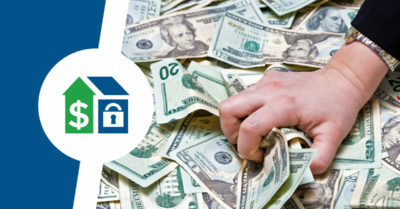 Make sure your property manager does not co-mingle funds into their own business or personal bank accounts; co-mingling is illegal in many states. Make sure your association has a bank account open in its name. Ensure that the board gets monthly bank statements as part of the monthly financial reporting package so it can review money coming in and going out as well as its balance. Better yet, work with a bank that allows all board members to view the bank accounts online to keep everyone honest. Lastly, work with a manager or specialist bookkeeping company that provides online review and approval of bills. No checks get written without being approved by a property manager and one or two board members. As always, the best way to learn these lessons is from another board’s mistakes. We hope these three case studies motivate you to take the outlined preventative steps to save your association money and a lot of grief.